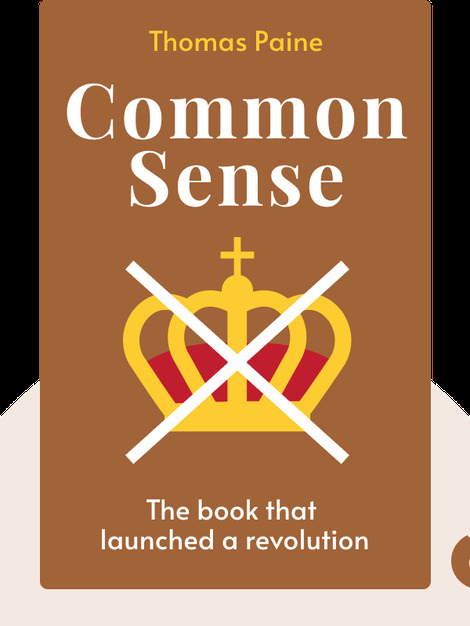 When it was originally published, Common Sense (1776) came in the form of a pamphlet, which George Washington read to his troops during the American Revolutionary War. These blinks are a window into the political mind of one of America’s founding fathers, and will explain the logic that led to the American revolution, as well as to the establishment of an entirely new government. 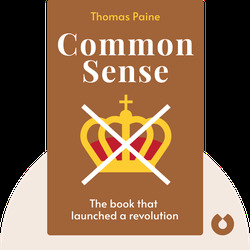 Thomas Paine was born in England in 1737 and, sponsored by Benjamin Franklin, moved to the Americas two years before publishing Common Sense. He was a founding father of the United States and was deeply involved in the political life of the young country. His other titles include The Rights of Man and The Age of Reason.